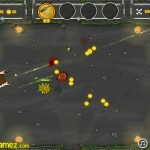 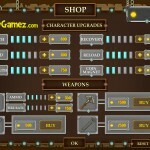 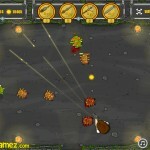 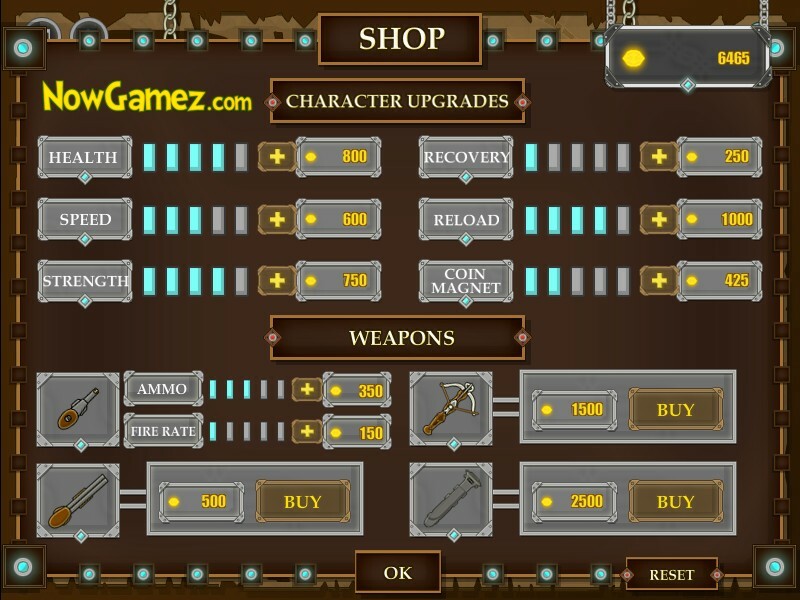 Action Shooting Upgrade Achievement Now Gamez Click to find more games like this. 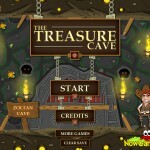 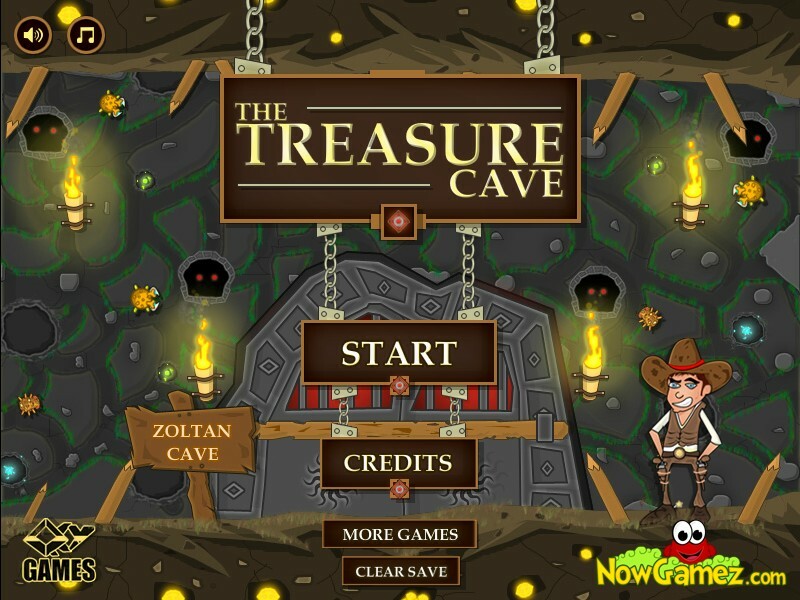 Steal the treasure of the Zoltan god, by exploring the different caves until you find him. 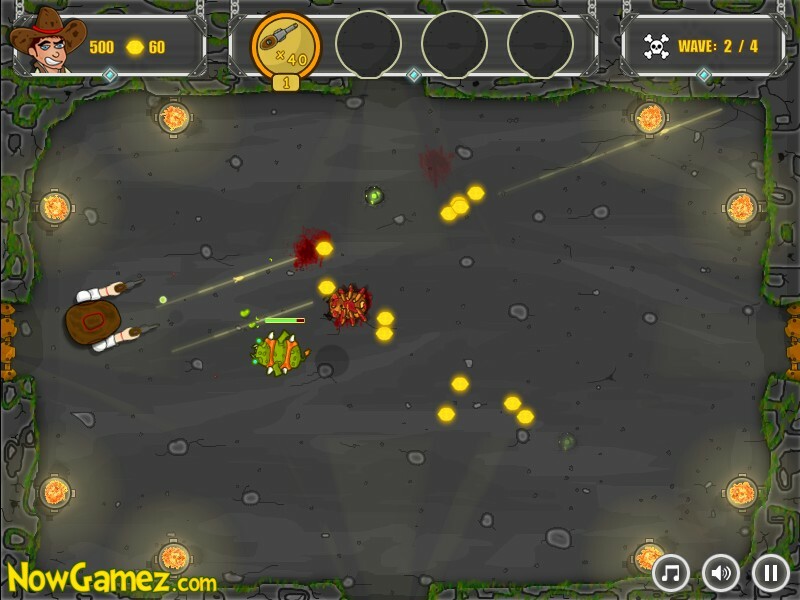 Buy new weapons, upgrade your skills, and avoid being destroyed by powerful explosives, strange creatures, and mortal traps in this fun action game. 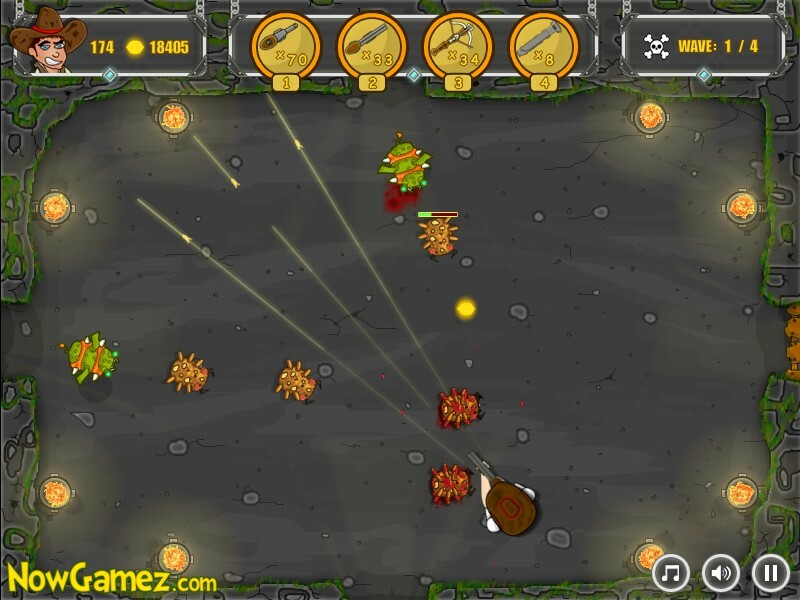 This game has three difficulty modes, fifteen achievements, over 15 different enemies, lots of explosions, a final boss, and much more.